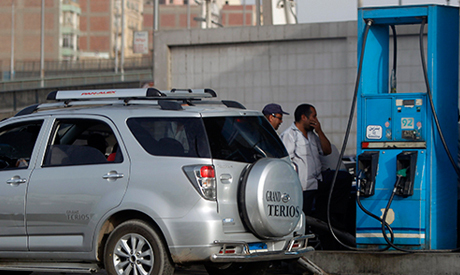 Egypt's Ministry of Petroleum decided on Sunday to fix the sale price of 95 octane gasoline in the local market for three months to remain at EGP 7.75 per litre during the second quarter of this fiscal year, according to a statement by the ministry. The ministry's decision goes into effect on Tuesday and will last till June. The ministry said that a technical committee convened on Monday to follow up on the mechanism of the automatic pricing of 95 octane gasoline. The committee reviewed the factors affecting the cost 95 octane gasoline, which includes the pound's exchange rate against the dollar in the first quarter of 2019 and the global prices of Brent crude oil during the same period. In January, the official state gazette published Prime Minister Mostafa Madbouly's decision to set up the technical committee, called the 'Follow-up Committee for the Automatic Pricing Mechanism for Petroleum Products,' which includes representatives from the Ministry of Petroleum and Mineral Resources, the Ministry of Finance and the Egyptian General Petroleum Corporation. The second article of the resolution states that "the mechanism of automatic pricing of 95 octane gasoline for consumer delivery, including value-added tax, shall be applied from the end of December 2018, while maintaining the selling price until the end of March." The automatic pricing mechanism takes into account world oil prices, the exchange rate of the pound against the dollar, and the operating burdens inside Egypt. The implementation of the automatic pricing mechanism was part of the measures the government agreed upon with the International Monetary Fund to implement as part of Egypt's economic reform programme.